The art quilters are coming today. The cookies are baked, the basement is clean. Very unique quilt. 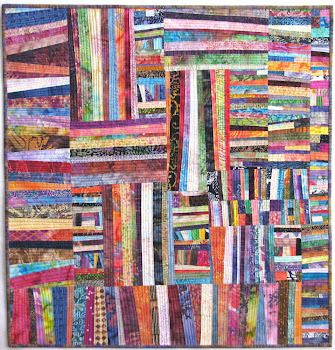 Wish I was part of the art quilters! (not just because of the cookies). Glad you get the basement cleaned up. No cookies here! And no art quilters are coming to my house. But your quilt has brightened my day! I love it! The quilt is turning out wonderful! 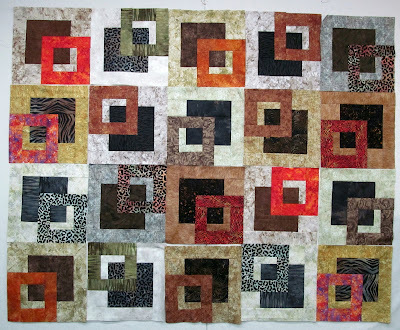 Have fun with the art quilters! 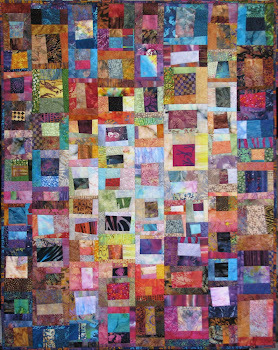 Have a fun day with the art quilters. I look forward to seeing your changes on your blocks. I know I have commented before about how much I am inspired by your fabric choices, and this project is no exception....thank you for all the inspiration!! 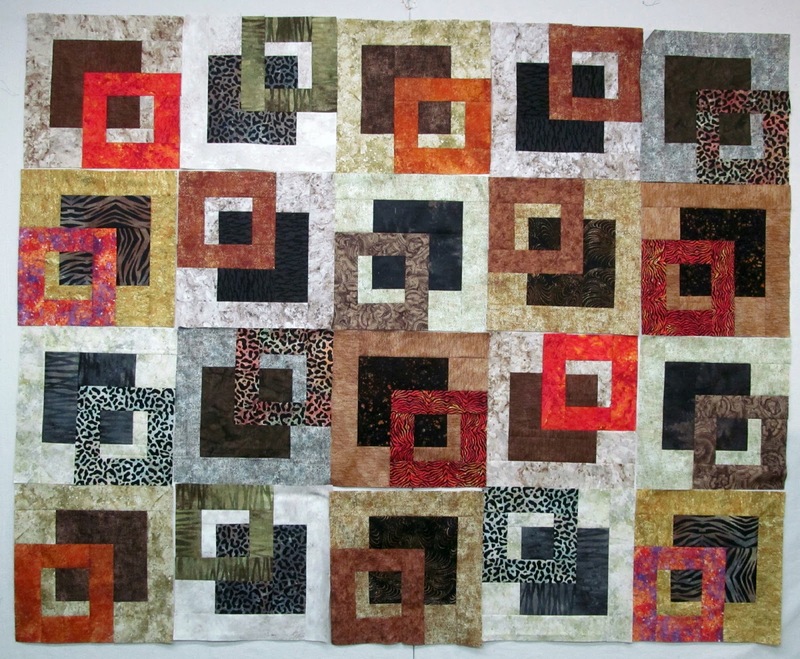 Have fun with your art quilters group! !